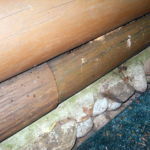 Mold on logs is not only unsightly – it can be the sign of rot in the log. 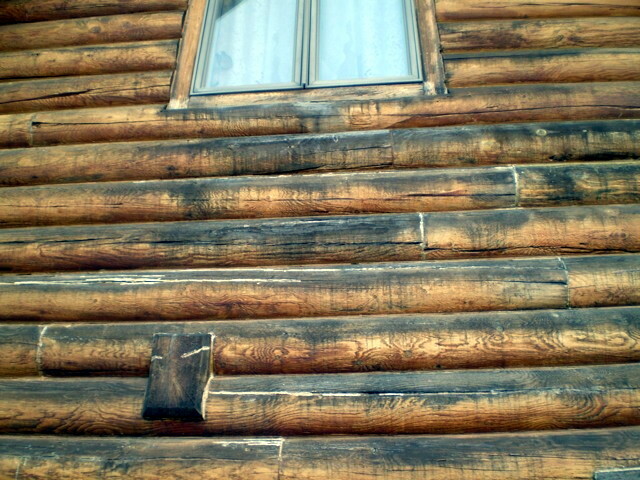 This has been a particularly tough year for log homes due to lots of snow and now a rainy spring. When logs can’t dry out, mold (and eventually rot) can take hold. Mold is the precursor to decay and rot. If you see it on your logs, it is important to do something to remove it. Don’t ignore it. 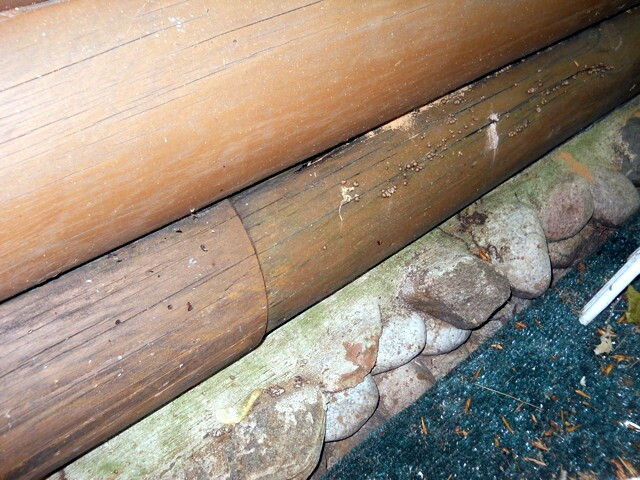 The sign of mold is black or discoloration of the logs. An extreme example of what happens when left unchecked is actual mushrooms growing on the wood. Tell-tale sign of mold – blackened logs! Mushrooms/fungus growing on logs means too much moisture in the wood. 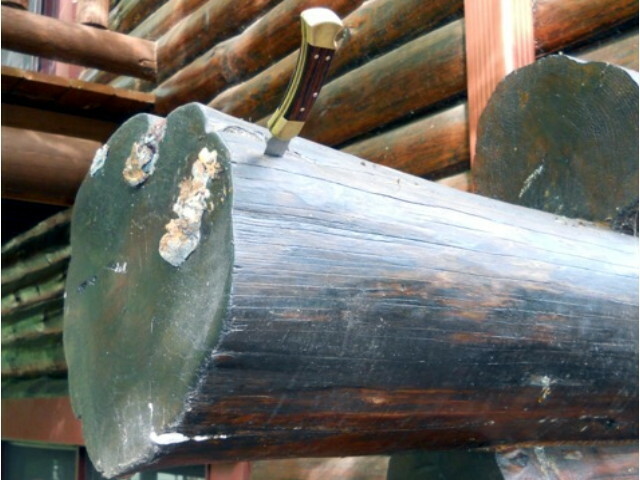 Notice the fungus growing and how deep the knife is into the log – ROT! What to do? Start by sanding the areas, noticing if the wood seems wet or dry. If it is wet and soft, you have a problem. Call us for help. 715-373-5744 or contact us. If it is dry, sand it and after sanding, apply a borate treatment. We recommend Bora-Care, which is a concentrated form of borates. Apply Bora-Care on the affected area(s) at least three times in the space of a day or so. Be sure the area is allowed to dry thoroughly. Note: Do not use chlorine bleach on logs. It can have a negative interaction with your stain. If rain is in the forecast after application, consider covering the area with a tarp to allow the logs to dry. Once they are thoroughly dry, apply a fresh coat of stain on the treated logs. 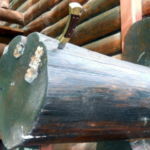 If the mold returns, the log may be too far-gone and it may need to be replaced. 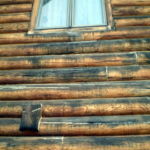 Click here for information on replacing rotten logs. Another important thing to do is look for checks or cracks in the logs that are on the up-facing side of the log. This could be your moisture source? Click here for more information on how to deal with these types of checks.